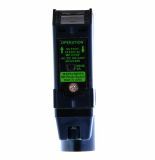 Microswitch with button, DPDT, 3A / 250VAC, 35.3x10.4x16mm, ON- (ON), AH4100 Microswitch non-holding, with button and 3 connectors 6.3 x 0.8 mm. 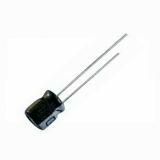 Optoelectronic Switch MP-D70P AN45486 220VAC, NO + NC diffuse 250VAC range 700mm (0.7m) plastic Optoelectronic sensor MP-D70P AN45486 with PVC casing 98x80x25 mm, diffuse type, working distance - 700 mm (up to 2 m possible), with screw terminals. The transmitter and the receiver are enclosed in a housing! List Price: 55.00лв. VAT Incl. Electrolytic Capacitor 3.3uF, 50V, THT, Ф4x7.5mm Electrolytic Capacitor with voltage 50 V, capacitance 3.3 uF and operating temperature 85°C. List Price 0.12лв. VAT Incl. 0.10лв. VAT Incl. 0.09лв. VAT Incl. 0.08лв. VAT Incl. 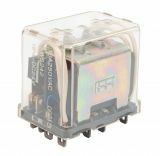 Electromagnetic Relay universal, JE1A, coil 12VDC 220VAC/5A SPST NO Universal electromechanical relay with coil rated voltage 12 VDC and contact system SPST NO, model JE1A. List Price 1.90лв. VAT Incl. 1.81лв. VAT Incl. 1.71лв. VAT Incl. 1.62лв. VAT Incl. Electrolytic Capacitor 22uF, 250V, THT, Ф10x22mm Electrolytic capacitor with voltage 250 V, capacitance 22 uF and operating temperature 105°C. List Price: 0.35лв. VAT Incl. List Price: 3.20лв. VAT Incl. Relay electromagnetic NR-SD-5V-AE5649, coil 5VDC 110VAC/0.3A SPDT NO + NC Universal electromagnetic relay NR-SD-5V-AE5649 with coil 5 VDC and load capacity 110 VAC / 0.3 A.
Electrolytic Capacitor 100uF, 63V, THT, Ф10x13mm Electrolytic Capacitor with voltage 63 V, capacitance 100 uF and operating temperature 105°C. 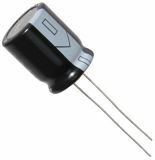 Electrolytic capacitor 220uF, 10V, THT, Ф6.3x12mm Electrolytic capacitor with an operating voltage of 10 V, 220 uF nominal capacity and operating temperature 85 °C. List Price: 0.08лв. VAT Incl. 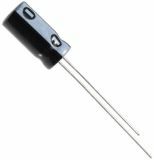 Electrolytic capacitor 330uF, 6.3V, THT, Ф8x6mm Electrolytic capacitor with an operating voltage of 6.3 V, 330 uF nominal capacity and operating temperature 85 °C. Electrolytic Capacitor 330uF, 315V, THT, Ф25x45mm Electrolytic capacitor with voltage 315 V, capacitance 330 uF and operating temperature 85 °C. List Price: 59.00лв. VAT Incl.